It’s been more than a decade since Laura Richard left home to earn her Ph.D in Inorganic Chemistry at the University of Oxford in England. Now 31, and in the midst of her career with Procter & Gamble in Brussels, Belgium, Richard is about to tackle another challenge, this time in the demanding and grueling sport of triathlon. Fresh off another adventure distance run, Lloyd Chambers and Nicole McCarty of Fredericton are busy planning for the next part of a continuous recreation goal that hits particularly close to home. Next month, two editions of the Fredericton Beer Run are scheduled to celebrate New Brunswick Day. But more importantly, they will help raise funds for diabetes research. 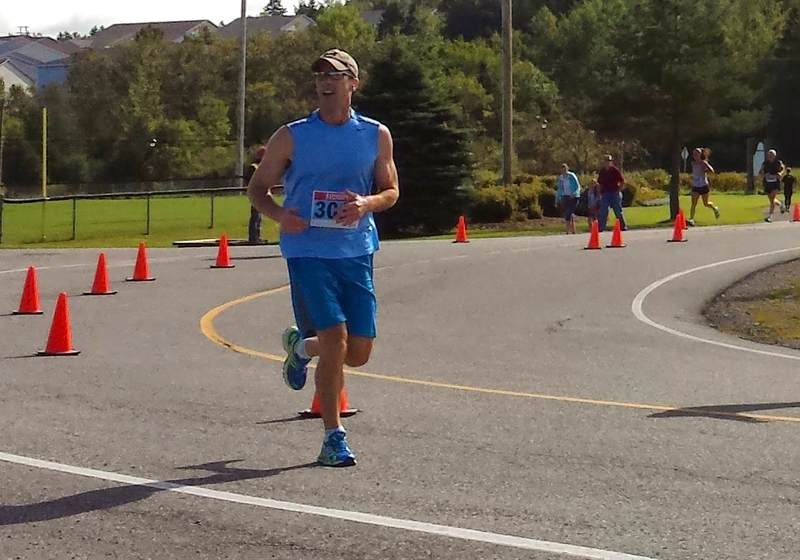 Kevin McEachern is using the Marathon by the Sea as a stepping stone toward his goal of running a full marathon. For extremely personal reasons, Kevin McEachern got into running a few years ago. In short, it’s helped him through a stressful period in his life. But something else happened – he caught the running fever and last year, finished near the top of his age class in the Running Room Super Series. He’s got big plans for later this year as well, including a run at Marathon by the Sea. Check them out in this edition of the Running Whys.